Presenting our ABS-Lock I & II anchorage system in moving images: Watch our short product video to find out more about its most important features! This detachable stainless steel anchor is used in combination with an ABS-Lock II sleeve and can be installed on a variety of different surfaces. 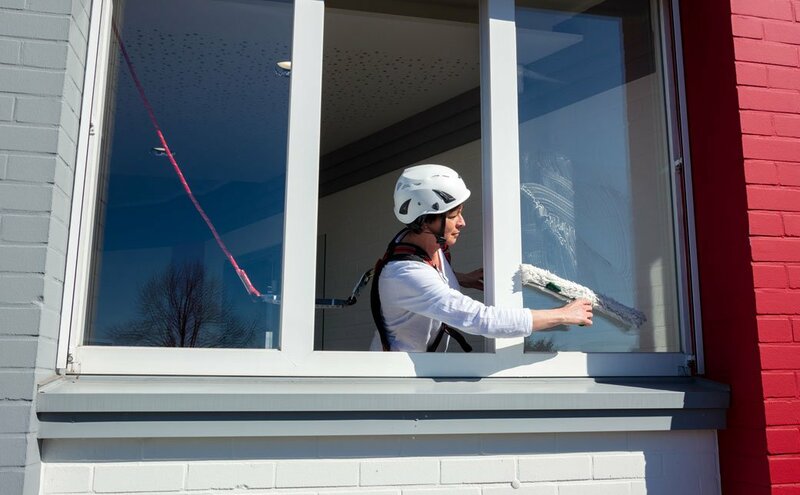 It is designed to secure 2 individuals simultaneously, has been awarded national technical approval by the German Institute for Construction Technology (DIBt) and is frequently used to secure the area around a window. The principle behind our ABS-Lock I+II fall arrest system is simple: Just one single anchorage eyelet for numerous different anchor locations. Our system is based on 2 components. 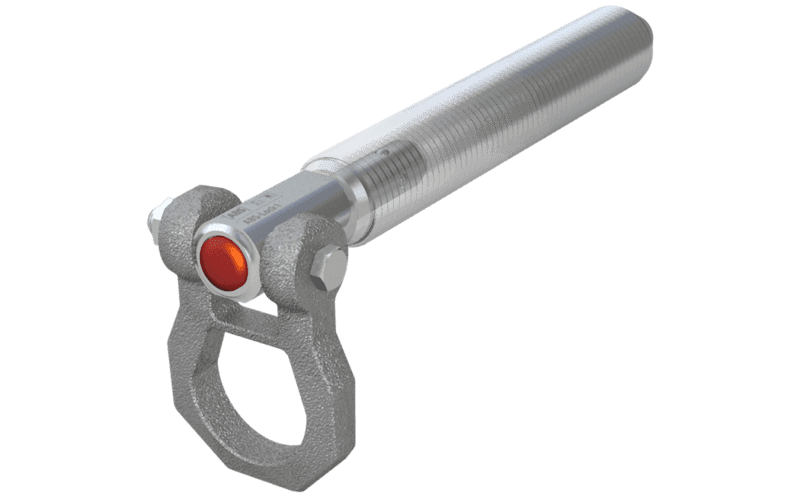 The ABS-Lock I is a detachable anchor which is simply installed and removed by pressing the button. Once the retainer ball bearings inside the anchorage point have locked into place, the device can withstand loads of 2 or more tons - making this fall protection device the ideal partner for securing windows. Our ABS-Lock II sleeve matches the anchor - a truly multi-talented solution. 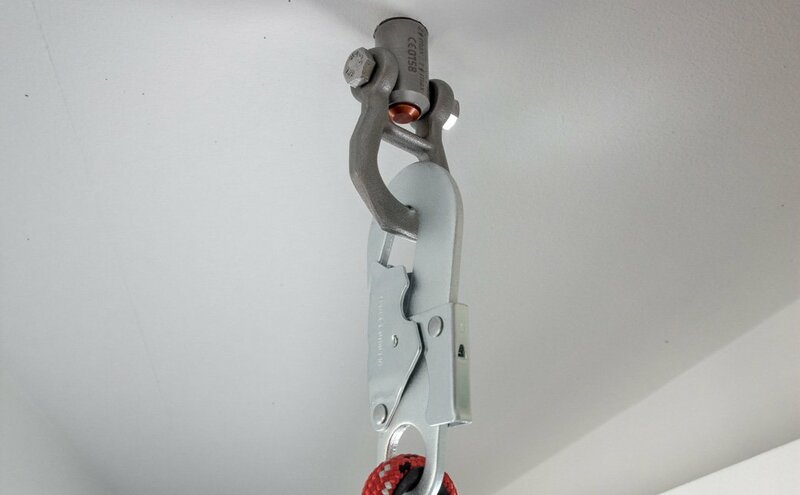 For wood, steel and concrete, walls, overhead installation and suspended ceilings: Our ABS-Lock II can be installed virtually anywhere - thanks to our broad range of accessories. And because you can simply remove the anchorage point afterwards, it does not spoil the aesthetic look of your building and never gets in your way. As our ABS-Lock I anchorage eyelet is easy to carry around with you, it can be used with an endless number of different sleeves. 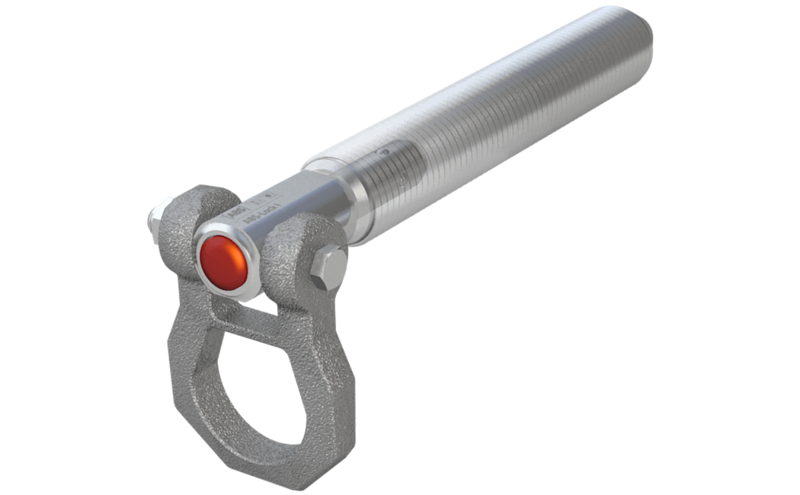 Use our ABS-Lock II-B for installation in concrete or wooden structures. 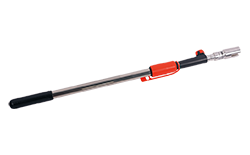 Our ABS-Lock II-ST is ideal for steel surfaces.